Executive functions are higher-order cognitive control functions needed for goal-directed behaviour. They include planning, cognitive flexibility, working memory and inhibition. Executive functions develop over an extended period of time, through infancy and childhood, continuing into adolescence and extending into adulthood. Executive functions are a strong predictor of school readiness and academic achievement throughout childhood, and are associated with career success, as well as mental and physical health in adults. The development of executive functions is now known to be entwined with motor development, and imaging studies have shown overlapping activation of motor and executive functions in the frontal lobes. Therefore, understanding the relationship between executive functions and motor coordination is crucial for understanding the consequences of DCD in daily life. Such knowledge will aid the improvement of clinical, educational, employment and daily life practices for individuals with DCD. Atypical EFs have been reported in a number of neurodevelopmental disorders, including ADHD and autism. They are frequently reported as problematic for children and adults with DCD, although relatively little research has focused on this directly. Over the past decade, executive function skills in children and adults with DCD have been a greater focus of careful research. This research has considered executive function abilities in relation both to the profile of executive function performance reported in other disorders, and in comparison to typically developing populations. In this keynote session, I will review studies of executive functioning in DCD as well as studies investigating the relationship between executive functions and motor skills in typical development. The focus will be on cross-sectional and longitudinal studies; on behaviour, cognition, biology and environmental effects. The implications of research findings for understanding of causes, consequences and interventions will be considered. 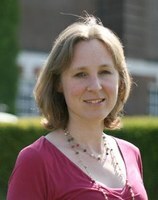 Elisabeth Hill is Professor of Neurodevelopmental Disorders at Goldsmiths, University of London. Her PhD research focused on the movement difficulties of children with Developmental Coordination Disorder (DCD) or specific language impairment (SLI), supervised by Professor Dorothy Bishop at the MRC’s Applied Psychology Unit, Cambridge. Following this Elisabeth worked as a postdoctoral researcher at Cambridge University investigating executive functions in autism with Professor Jim Russell, and at the Institute of Cognitive Neuroscience, University College London investigating the cognitive experiences of children and adults with autism with Professor Uta Frith. In recent years Elisabeth’s research has focused on the importance of motor development and its impact across the lifespan. In particular, her work focuses on the causes and impacts of motor and cognitive difficulties in neurodevelopmental disorders, particularly DCD and ASD (Autism Spectrum Disorder). In the last decade, exercise and cognition research has reached a ‘nuances’ stage of understanding of moderators and mediators acting on the exercise-cognition relationship. The search is ongoing on two main paths: one focused on physical activity quantity, dose-response relations and underlying brain mechanisms; the other focused on physical activity quality, optimal challenge point and mechanisms underlying the intertwined development of movement and cognition. While these paths are complementary, the second one seems better suited to inform multidisciplinary research and practice for children with DCD. Indeed, this path is attracting convergent attention by developmental neuroscientists, who acknowledge the central role of movement-based interventions for aiding cognitive development and by motor developmentalists, who attribute to motor competence a central role in comprehensive models of physical and mental health development. This convergence de-emphasizes the role played by the metabolic demands of physical activity and highlights the role played by a sufficient but not excessive level of cognitive load, emotional challenge and social engagement. I address the suitability, for DCD treatment, of movement-based interventions tailored to aid cognitive development and some commonalities with task-oriented approaches. I propose to capitalize on quality physical activity as a unique form of enrichment that impinges on brain sculpturing and adaptability of goal-oriented behaviour, highlighting multidisciplinary intersection points that may allow meeting with one deed interrelated needs of children with DCD in the perceptual-motor, cognitive and social domains. Caterina Pesce is graduate in Physical Education, degree in Movement and Sport Sciences, master of Psychology (Universities “Foro Italico” and ”La Sapienza” of Rome), and PhD in Philosophy (Free University of Berlin). Currently associate professor in Methods and Techniques in Movement and Sport, member of the Department of Movement, Human and Health Sciences of the University “Foro Italico” of Rome, and founding member of the Italian Society of Movement and Sports Sciences. Her main teaching focus is on physical activity for children and older adults, her main research focus on exercise and cognition across the lifespan, rise and fall of motor coordination and enhanced physical education. She has over 70 international and over 30 national published peer-reviewed articles, over 1300 citations, and is co-author of 3 international authored or edited books on exercise and cognition and 4 physical education and quality physical activity for educational achievement. She is the editor of the handbook “Joy of Moving – Playing with variability to promote motor, cognitive, and citizenship development”, awarded by the Italian Olympic Committee, and mind behind the innovative “Joy of Moving” method for holistic child development promotion through physical activity games. The method is actually in the replication phase at national level prompted by the Ministry of Education within a multisectoral co-responsibility agreement. She is on the editorial board of the JSEP and associate editor of the JAPA. Developmental Coordination Disorder (DCD) is by very nature a disorder of movement and coordination which is often characterised by slow and inaccurate movements. Commonly we refer to these as ‘deficits’ to movement. The constraints-based approach to motor control (Newell, 1986) advocates the idea that the environment, the task and the individual can all constrain and promote movement/coordination. Within this approach movement is thought to emerge as a result of the specific pattern of constraints facing that individual. Using this framework we can think about the ‘deficits’ in DCD being functional compensations to the specific pattern of constraints. As the constraints are different within a population with DCD compared to a population without DCD so is the emerging movement. Using examples from my research group and the wider literature, I will focus on motor planning in one instance and on the coordination between perception and action in the other to highlight the importance of considering the function of ‘deficits’ in children with DCD. Kate Wilmut completed her PhD at the University of Reading, UK under the supervision of Prof John Wann and Dr. Janice Brown. Her thesis focused on the coordination between the eye and the hand in both young typically developing children and in children with Developmental Coordination Disorder (DCD). Following the PhD she continued to work at Reading as a post-doctoral researcher before moving to Oxford Brookes University, UK in 2007. Her main research focus has always been with individuals with DCD and, in particular, with a focus on measuring movement using 3D motion tracking technology. The research projects have widened since her PhD to include teenagers and adults with movement difficulties and also to include whole body movements such as walking and navigating the environment. One of her research strands focuses on the role of perception within an action context and the role perception may play in the movement difficulties experienced by individuals with DCD. Most recently she started a project in collaboration with Prof Anna Barnett to consider how children with DCD coordinate movements of their entire body whilst performing a novel task. They will be extending this work in order to also determine how this control changes with practice. She is a chair of DCD UK which organises biennial conferences to bring together researchers, clinicians and other individuals with an interest in DCD. Longitudinal data on learning and teaching has provided valuable understanding of the intertwining dynamics, mediating and moderating factors of risk and resilience within the individual, their relations to meaningful persons and environments which affect children’s early development, school paths and adjustment in transitions. The evidence gathered using advanced data analysis on several longitudinal data sets (e.g. 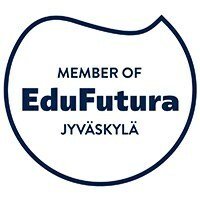 the Jyväskylä Londitudinal Study of Dyslexia, and the First Steps follow-up) points out the relevance of using multiple measurements and time points and inclusion of constructs providing complementary information on environmental and relationship factors in understanding achievement and engagement trajectories. Motivational goals, beliefs about one’s skills and capabilities, expectancies of success, and the subjective task values, for instance, are known to contribute to engaged learning. Importantly student engagement and learning are also influenced by teacher practices and classroom relationships. Furthermore, changes in the physical space of learning environments are expected to contribute to changes in teaching and learning practices (e.g., inquiry-based learning formats, collaboration, student dialogue and self-regulated learning) as well as increased physical activity which in turn can contribute beneficially to engagement, and academic performance. 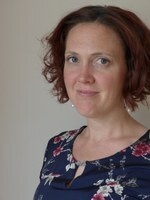 In this keynote session, findings from longitudinal studies will be reviewed with respect to individual and classroom factors affecting the developmental trajectories of children with and without risk for learning difficulties (e.g., dyslexia) or risk for engagement and motivation and implications for interventions (e.g., dialogic teaching). Anna-Maija Poikkeus is Professor of Pre-primary and Primary Education, at University of Jyväskylä, Department of Teacher Education. She was appointed as Dean of the Faculty of Educational and Psychology in 2018. She completed her Master’s degree in Developmental Psychology at the University of Jyväskylä, and her PhD thesis at the University of Minnesota, US, focusing on social competence and peer relations of school-age children with learning disabilities, supervised by Professor Willard Hartup. Her current research foci include individual, interactional, and classroom factors contributing to children’s learning, especially early language development, reading and math achievement, motivation, engagement and peer relations. She is the founding member and senior researcher in the Finnish Academy funded First Steps Study, a large-scale follow-up study of a population based sample of 2000 children from pre-primary year to lower and upper secondary school, and she lead the Finnish Academy funded Skidi-Kids II focusing on dialogic teaching interventions fostering student engagement and motivation. Prior to these projects she participated as a founding member and senior researcher in the Center of Excellence on Human risk factors and the Jyväskylä longitudinal study of dyslexia, a long-term follow-up of 200 children from birth to adulthood (1997-1999, 2000-2005, Lyytinen et al.). Most recently she has been interested in research focusing on dialogue and student engagement in new learning environments. Given what we know from the literature, models of intervention for children with developmental coordination disorder (DCD) should focus on participation and changes in the natural environment. The rationale will be described for the use of tiered service delivery models for management of children with DCD in schools; in particular, the evidence-informed model from Canada, “Partnering for Change”, will be featured. The specific role of occupational therapists will be presented within the principles, Building Capacity through Collaboration and Coaching in Context. Key findings resulting from multiple studies of Partnering for Change will be described, including the challenges of training and mentoring. 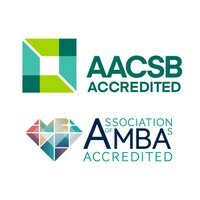 Our current study, INCLUDE, the knowledge translation materials that have been developed, and future studies that are planned, bridge beyond occupational therapy and facilitate the work of teams of health and education professionals as they deliver universal and tiered services to children with DCD and other diverse learning needs. Cheryl Missiuna, Ph.D., OTReg (Ont) is a Professor in the School of Rehabilitation Science and a Scientist with CanChild and the Infant and Child Health (InCH) Lab. She also holds the John & Margaret Lillie Chair in Childhood Disability Research. Cheryl's teaching and research interests focus on children and youth with special needs. Cheryl researches models of health service delivery, including Partnering for Change, that encourage health promotion, early identification, the creation of supportive environments and prevention of secondary physical and mental health consequences for children with developmental coordination disorder. Cheryl’s interest in knowledge translation has led to the development of educational materials that facilitate knowledge transfer and uptake by different audiences including children and youth, families, teachers, primary care physicians, health professionals, policy and decision-makers. Throughout infancy and early childhood, the maturing brain undergoes remarkable structural and functional change in support of maturing cognitive and behavioral functions. Neurodevelopmental processes including white matter and cortical myelination, synaptogenesis, dendritic arborisation, and synaptic pruning work in “competitive collaboration” and ultimately give rise to the eloquent neural systems that underlie cognitive skills and neurobehavioral processing. Previously, studies of myelination and cortical maturation were limited to histological analyses of post-mortem tissue samples. However, advancements in non-invasive imaging techniques, in particular magnetic resonance imaging (MRI) have allowed these processes to be mapped in vivo in human infants, toddlers, and young children. These data provide new insight into how the brain’s structure and functional networks develop, and how their growth is related to maturing cognitive functions and skills. Such information could have direct impact on the study of DCD, such as in the how development of the early myelinating motor pathways and early maturing motor cortices are impacted, as well as associated brain regions and systems, and how these developmental changes may be associated with secondary conditions. Throughout this talk, we will focus on the evolving state of paediatric MRI and our current understanding of brain-behaviour relationships throughout infancy and childhood. We will present preliminary findings on developmental differences in children with motor delay and DCD specifically. Having received my PhD in MRI physics, my early research focused on the development of new imaging techniques for exploring the brain’s microstructure and architecture at increasing levels of detail. With these methods in hand, the Advanced Baby Imaging (ABI) Laboratory has, in turn, sought to examine how the brain grows and changes throughout infancy and early childhood. Two primary goals of the (ABI) lab are to characterise the patterns of early brain development, understand how these patterns link to cognitive and behavioral outcomes, and investigate how various environmental and genetic influences can shape these brain growth - cognitive relationships. The ABI lab currently explores the role of maternal and infant nutrition, genetics, environmental exposures including air quality and lead, and sociodemographic factors such as sleep, activity, stress, and child-parent interaction on early brain growth and childhood outcomes.